Equine Wither Soreness: What can it mean? 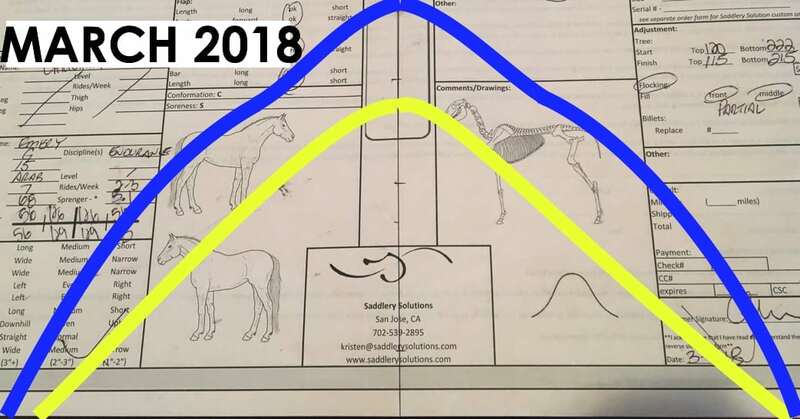 I am always looking for good examples of how horses change when they are worked under saddle. Last week I came across a great one. There was an added bonus that he also gets regular care from an equine body worker which gives us more information on the horse. In this post I would like to show how the chiropractic report of soreness can actually directly relate to how the saddle is fitting. I will be using the report from a 6 year old Arabian horse named Emery. 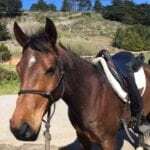 He is being trained in dressage and endurance. I fitted him with a new saddle in April 2017 and then refitted in March 2018. Emery’s spots where he is out in his alignment are pretty common for a horse that is under saddle. What I would like to highlight is his area of soreness. Dr. De Leeuw has pointed out that his withers are sore. When I see a report like this it immediately makes me check how the horse has changed. After taking tracings we can see that Emery has changed. 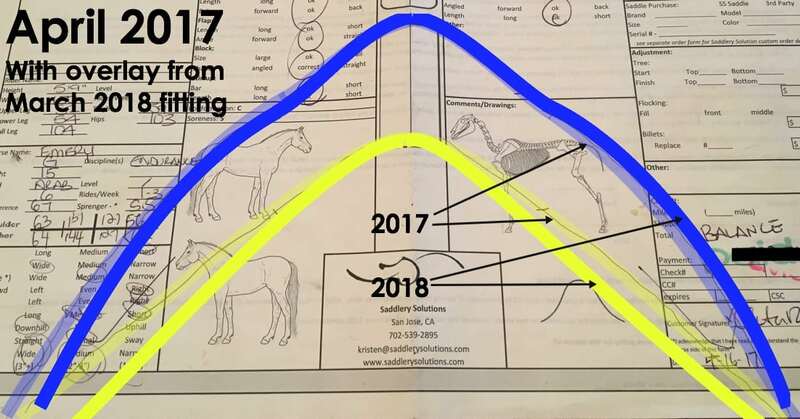 We can see through these tracings that Emery has done exactly what we expect a young horse to do through work. His wither has come up and his shoulders have become more symmetrical. As his body responds to carrying the load of a rider and saddle his wither and ribcage comes up. This is not weight loss because his circumference has actually gone up 1″ between the two fittings. Often when a young horse is working they develop more wither as they become more uphill. This is not muscle loss but simply a change in conformation. For more information on how a horse changes under saddle please see this post. 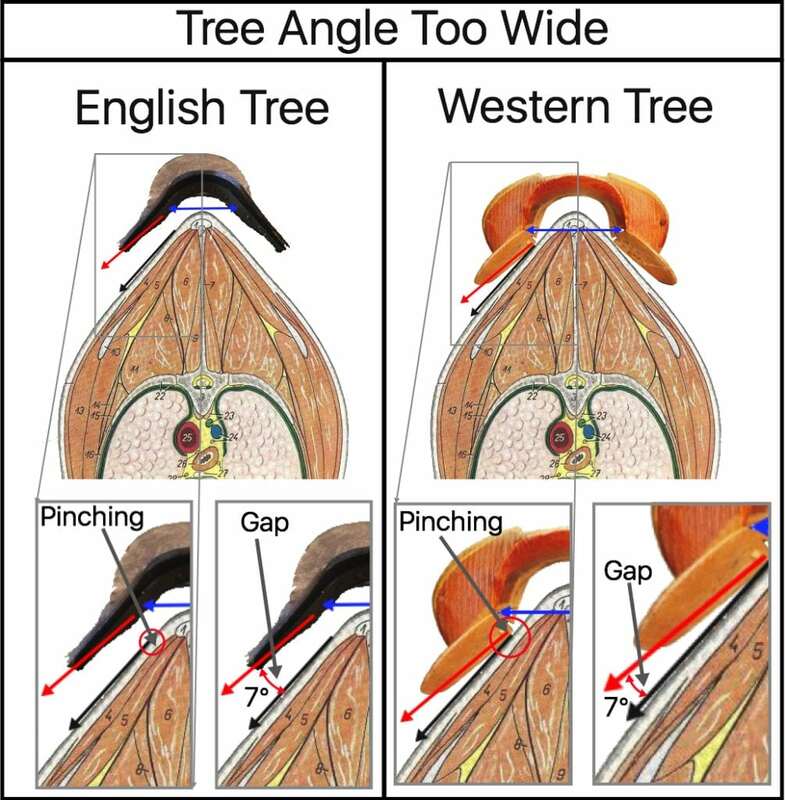 The report from Dr. De Leeuw show and the measurements confirm that the top of Emery’s saddle tree is too tight on his wither which means that his tree angle has become too wide. The areas where she found soreness correlate directly to saddle pressure. 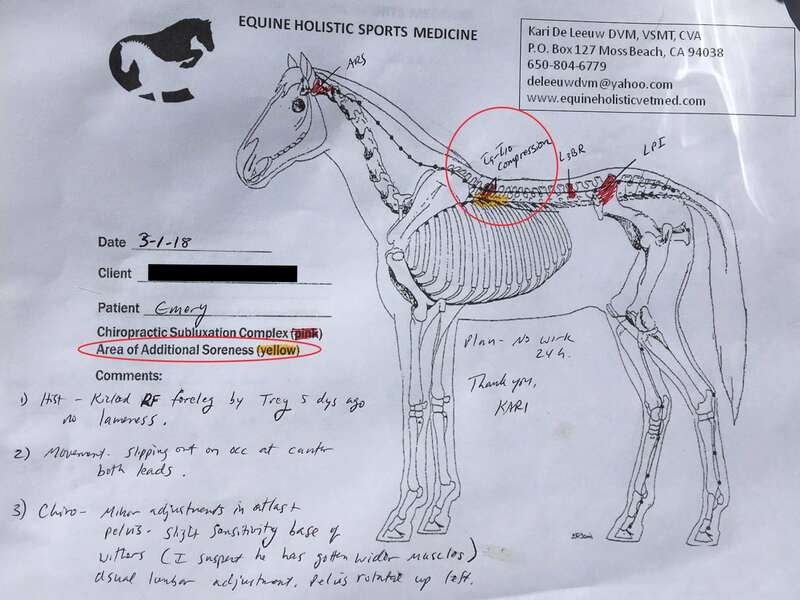 This is why it is so important when you are having your horse and saddle evaluated to bring any relevant vet or body worker reports to the fitting. These can help your saddle fitter pinpoint any issue. Because horses can’t speak for themselves these reports help to inform equine professionals of potential trouble spots. With all of this information I was able to refit Emery’s existing saddle. Now he can go forward in his training with the area of soreness resolved. I hope to see additional positive change next year! For more information on Dr. Kari De Leeuw and Equine Holistic Sports Medicine please click HERE to check out her website!